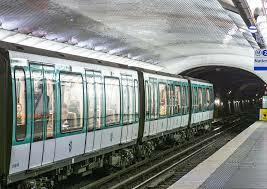 From Monday 12 March, Metro line 4 at Paris Gare du Nord will be closed. If you need to get to Montparnasse from Gare du Nord, you can take the RER B and Metro line 6 or walk to Gare de l’Est and catch line 4 from there. Line 4 at Paris Gare du Nord is set to reopen in June 2018. AndyBTravels © 2019. All Rights Reserved.